So is the often talked about sponsorship of London Underground station names really taking place? 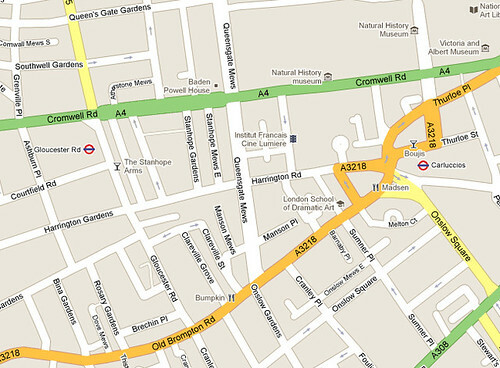 A look on Google Maps for South Kensington Tube, brings you to a station called Carluccios. Never knew the restaurant chain was doing so well it could sponsor a Tube station. Surely Subway would have been first in? 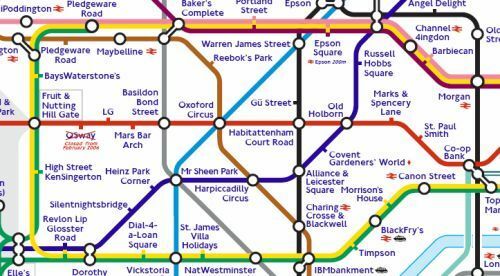 Although that could be a tad confusing for people who call Tube stations subway stations! Actually it's just Google Maps up to its old tricks of coming up with weird names for London stations. It would have to go some way before Google Maps' map of the Tube looked anything like the spoof sponsorship or commercial Tube map though. While discovering Carluccios station, Jo Stimpson said, "Another Google Maps blip is that Southwark station's name comes up as a word in Japanese -- as far as I can tell, the word mixes the hiragana and katakana alphabets together so is probably nonsense -- but if you zoom out far enough and hover over the Southwark station roundel the label comes up as something in Cyrillic". 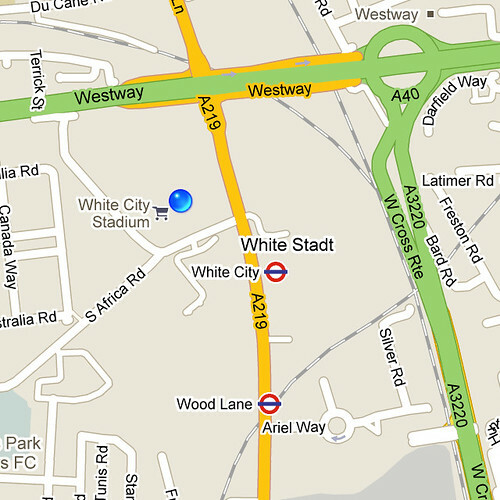 White City Tube appears to suffer from an identity crisis or split personality with Google Maps identifying it as both White City and White Stadt. If you've seen any other instances of Tube stations appearing strangely on Google Maps (or not appearing at all - Camden Town is missing) or any explanation as to why any of the above might have happened, please let us know. 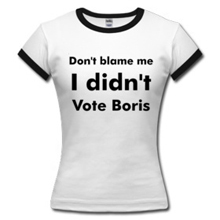 Thanks to Jo for her spots, Martin Deutsch who also spotted Southwark and Tom Insam for the grab of White Stadt. By the way, if you're in Madrid, Turin, Boston, Portland (Oregon), San Diego, and San Francisco, Google Maps, appears to offer a more useful service for public transport travellers. The service already tells them when public transit is scheduled to arrive at a location, but now Google has incorporated real-time data to tell people when that late bus or subway car actually will arrive. It even throws in service alerts. Infrastructurist said: "the key to such a service is whether it's available before you ever enter the station — once you’ve swiped onto the subway platform it's too late to choose an alternative travel mode — and right now Google provides the arrival times on its Maps site and also its Android app." Video from Google's blog post on this. 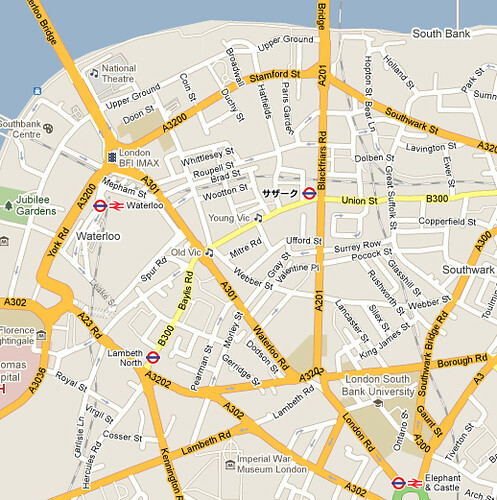 Come on Google Maps, stop messing around with our Tube station names and include London on this too. Surely there's enough data available from TfL to work this out, or at least something more than the basic info on Tube stations that's currently there.